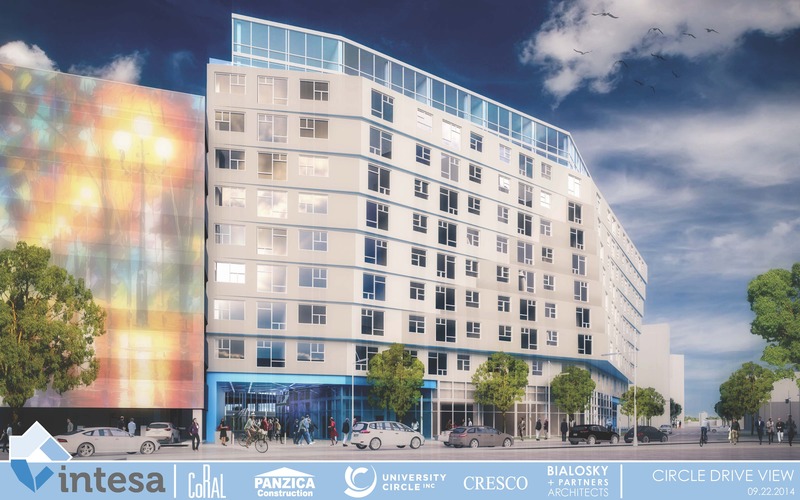 The Cleveland-Cuyahoga County Port Authority approved the loan package for Intesa – a University Circle mixed-use project, being developed by The Coral Co. and Anthony Panzica (President/CEO, Panzica Construction Company). 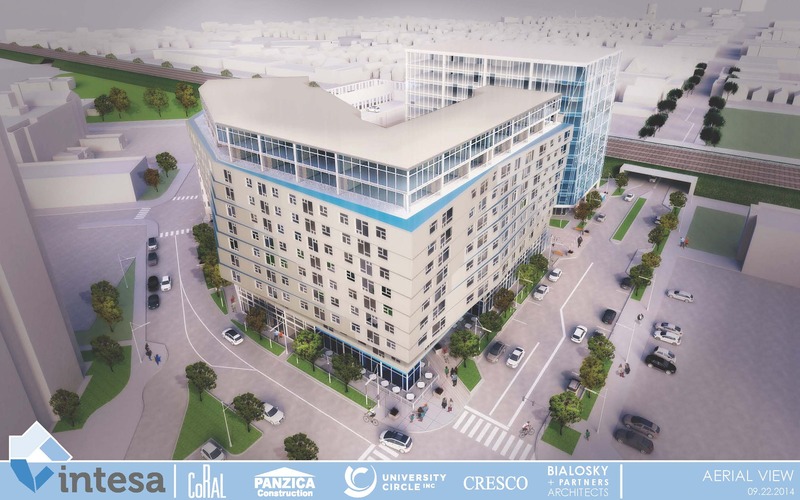 On Tuesday, March 31, the Cleveland-Cuyahoga County Port Authority approved the $60 million loan package to finance Phase I of Intesa, which will ultimately be a four-building, 450,000 square foot, mixed-use development on a 2.2-acre parcel near the triangle formed by Euclid Ave. and Mayfield Rd. Phase I ($68.3 million) will be an 11-story building with 196 upscale apartment units, a 412-space parking garage, and 14,000 square feet of commercial space. 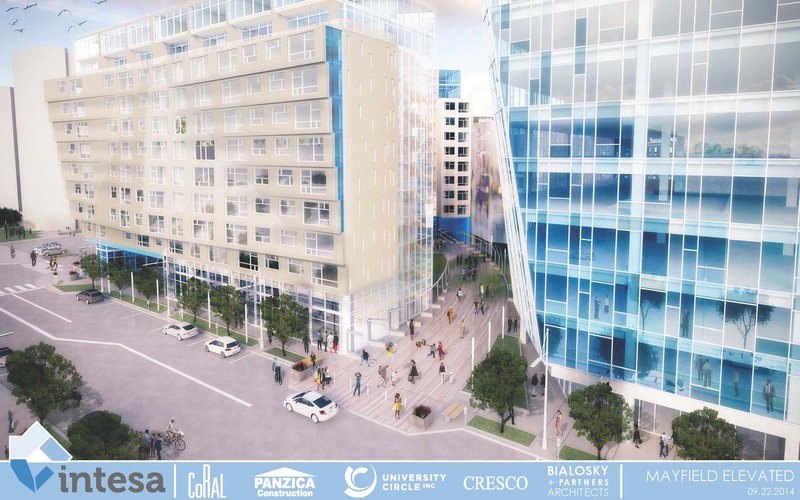 We expect Phase I of the building to be open in December 2016 and for Phase II (a 10-story office building) to begin sometime before Phase I completes.